South Caldwell High needs a win and/or a bit of help from McDowell and/or Hickory this week to wrap up another Northwestern 3A-4A baseball title. The Spartans, beaten 6-5 on Saturday at Charlotte Christian to fall to 13-2 overall, go into the week with a one-game conference lead over Alexander Central. South Caldwell is 9-1 in conference games and Alexander Central is 8-2. The Northwestern 3A-4A plays at 14-game league schedule, so if South Caldwell wins at Freedom on Tuesday and McDowell wins at Alexander Central, the Spartans’ edge would grow to two games with three to go. South Caldwell is at home Friday against St. Stephens and Alexander Central plays at Hickory. The league’s regular seasons ends on April 17 and its conference tournament won’t begin until April 30. The Patriots (10-6, 6-4) are in third place, a game back of Watauga, after winning at St. Stephens (4-11, 2-8). Brandon Pieto went 2-for-3 and drove in two runs to lead Freedom, which ran its win streak to three and reached back-to-back 10-win seasons for the first time since 2004-2005. Pieto also pitched a complete game, giving up five hits, two runs (both earned) with a walk and seventh strikeouts. Gavin Marley, Owen VanSickle, Will Rose, Karsten Klingenberg and Eli Walsh each had one hit for the Indians, who have lost four straight and 10 of their last 11. Jake Speaks threw 6 1/3 innings for St. Stephens, allowing three hits, five runs (all earned). He walked five and struck out seven. The Patriots were 13-12 last season; they were 10-13 in 2005 and 11-11 in 2004. Freedom has not had back-to-back winning seasons a three-year run that began in 1998 – 14-8 in 1998, 13-11 in 1999 and 14-12 in 2000. The Patriots are at home on Tuesday night against South Caldwell while the Indians go to West Caldwell on Tuesday for a 6:30 p.m. league game. A six-run sixth inning powered the Cougars (10-7, 8-2) past the Warriors (4-10, 1-9) in a conference game in Taylorsville. Bryson Hammer and Andrew Auton each drove in two runs for Alexander Central and Byron Younts and Jacob Bebber each had two of the Cougars’ 11 hits. Cy Smith and Devin Bumgarner each had a hit for West Caldwell, which trailed 3-0 through four innings and 3-1 after scoring in the top of the fifth inning. Maddox Kerley and Jeremy Simpson combined to shutdown West Caldwell. Kerley (3-1) pitched five innings, allowing two hits, one run (earned) with two walks and nine strikeouts while Simpson gained his first save of the season (two innings, two strikeouts). Bailey O’Brien took the loss for the Warriors after going four innings. He allowed eight hits, four runs (all earned), walked one and struck out three. The Cougars have won three straight games and outscored their last two opponents 24-4. They have scored 10 or more runs in three games this season. West Caldwell has lost four straight games and gave up double-digit runs for the fifth time this season. South Caldwell (10-3, 9-0) is 2 ½ games up on Alexander Central (12-4, 7-3) with five games to go in the conference race and McDowell (7-7, 6-3) is a half-game back of Alexander Central. The Spartans, who play at Freedom on Tuesday at 5 p.m., are in the driver’s seat as they have already swept Alexander Central in regular season games. The conference tournament is scheduled to begin April 30. Faith Carrigan threw a three-hitter, walking one and striking out 10, as the host Cougars won a conference game by scoring all of their runs in the bottom of the sixth inning. Carrigan improved to 10-3, and she went 1-for-2 and drove in three runs. Lanie Goforth and Ashley Seagle added RBIs for Alexander Central. Cam Crisp, Kylie Reid and Kyndall Vaught each had a hit for West Caldwell (5-8, 4-6). Reid was the losing pitcher, going six innings. She gave up eight hits, six runs (five earned) with one walk and no strikeouts. Alexander Central had eight hits and named no errors while the Warriors made four errors. 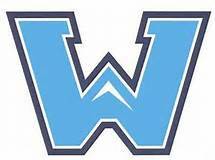 Watauga (10-3, 8-0-0) is atop the conference standings with six league matches to go, with Hickory (11-2-1, 7-1-0) in second place. The rest of the conference teams have at least three league losses. Watauga and Hickory battle Tuesday at 6 p.m. in Boone, and the Pioneers won 3-0 on March 15 at Hickory.